A few weeks ago, Democratic and Republican governors from across the West, including Wyoming’s Governor Matt Mead, announced their agreement that there are environmental and economic benefits to reducing methane emissions from oil and gas development and opportunities for the beneficial use of this natural gas resource. Methane is the second-most prevalent greenhouse gas after carbon dioxide. Pennsylvania’s natural gas industry is a major methane emitter. Recently Gov. Tom Wolf took steps to reduce methane leakage from new natural gas industry sources. Now he must keep his promise to reduce methane leakage from existing sources. 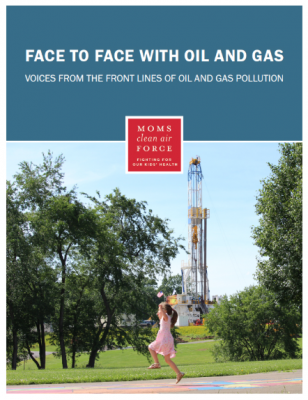 A new report from Moms Clean Air Force highlights the scope and diversity of the public health impacts that oil and gas pollution have on the well-being of families across the country, in both urban and rural areas, living near and far from oil and gas operations. It is unconscionable that our federal government wants to weaken or revoke safeguards that protect our children from this industrial pollution. By sharing the perspectives of seven women from across the country living with this pollution, this report brings us face to face with the health impacts of the oil and gas industry. As a retired chaplain and a veteran of the U.S. Air Force, I know a successful Air Force pilot is keenly aware of threats seen and expected, as well as threats unseen and unexpected. When an unseen threat is revealed, the good pilot is ready to confront and eliminate it, because it is a matter of life and death. It is easy to see oil and gas infrastructure across the American West. It is easy to see benefits of oil and gas revenue — jobs and energy security — particularly when oil and gas companies have enormous budgets to advertise to tell us about such things. Methane is the second-most prevalent greenhouse gas after carbon dioxide. Pennsylvania’s natural gas industry is a major methane emitter. Recently Gov. Wolf took steps to reduce methane leakage from new natural gas industry sources. Now he must keep his promise to reduce methane leakage from existing sources. Reducing carbon emissions is paramount if we are to mitigate climate change. But so, too, is the need to reduce methane emissions. A recent study led by the Environmental Defense Fund and published in the journal “Science,” serves as a stark reminder of how much work remains on that front. The study found the U.S. oil and gas industry is emitting 13 million metric tons of methane each year from operations. That’s 60 percent more than estimates from the Environmental Protection Agency. In many parts of America’s rural countryside, pollution from the booming oil and gas industry is causing an increase in asthma attacks and increased risks of cancer and respiratory diseases. That’s the key finding of a new report released today from Clean Air Task Force (CATF) and Earthworks. 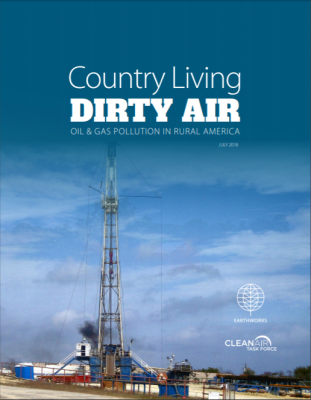 This report builds on two earlier reports from CATF — Gasping for Breath (2016) and Fossil Fumes (2017) — and Earthworks’ Oil and Gas Threat Map and demonstrates how, even in sparsely populated areas in the West and Midwest, that significant health impacts can be observed. The state Department of Environmental Protection should continue its independent evaluation of methane emissions from natural gas wells and compressor stations located within the commonwealth. The DEP should also continue to implement environmental protections based on that data, even if it appears that similar regulations are being rolled back at the federal level. I am an oil and gas industry engineering consultant, and I’m disappointed by the recent report by Colorado State University researchers that suggests that the amount of methane vented in natural gas operations may be significantly higher than previously thought. The study on methane emissions by the Environmental Defense Fund, as reported in a Washington Post story published in this paper June 22 (“Study says methane leaks offset natural gas benefits,” Page A3), should be a wake-up call to homeowners, business persons and municipal officials in Maine, who are considering heating options for their buildings or communities.